fisheries. We can not thank them enough for all they do on behalf of Fish for Change’s mission. Mar Alliance explores, enables, and inspires positive change for threatened marine wildlife, their critical habitats and dependent human communities. We work along their side in research and educational projects pertaining to Guanaja’s shark populations. Is inspired by the state of mind that all outdoor lovers get when they are in their element; what we see in our “sight line” is personal and most often what makes our time on the water or in the field special. Designing quality accessories that connect enthusiast to the outdoors. Sight Line Provisions is helping students reach their fundraising goals. Scientific Anglers produces some of the world's best fly lines, leaders, and tippet, along with fly fishing accessories, reels, outfits, and more. The SA brand strongly believes in bringing more youth into fly fishing and supports youth recruitment/retention in the sport. Unlitter is a contagious positivity that continues to inspire people to make the world a better place. Spread the word. Join the movement. Be the momentum. 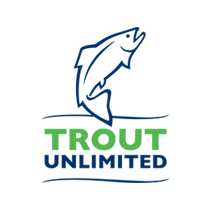 Douglas Fly Rods has kindly provided us with the equipment needed to get new students into fly fishing. Fish for Change is providing an assortment of scholarships, from local student involvement to state side schools. Each scholarship recipient will be outfitted with the gear needed to be a fly fisherman for a lifetime. Orvis promotes the 50/50 movement in order to encourage a more comfortable environment for women to get on the water and form a community around the sport of fly fishing. Fish for Change has teamed up with Orvis in order to create the first ever all girls week during one of our programs. The International Game Fish Association is the world governing body for the sport of fishing. We abide by their regulations and parallel on our missions to add more ethical fisherman to our planet. Bay Islands Conservation Association is a nonprofit in the Honduras working hard to initiate and coordinate efforts in protecting the fragile resources of the Honduran Islands. Fly Fish Guanaja teams up with BICA in hopes to continue to reestablish strong mangrove habitats. RIO has demonstrated passion, innovation, and a pure love for the sport through its development of the industry's highest performance fly line throughout the past 20 years. TU Teens program educates and promotes the next generation of conservationist and leaders within our sport. We are teaming up in order to expose trout fisherman to the salt. Fish for Change is a proud supporter of Austin Serving Abaco. Austin Serving Abaco, ASA, is a non profit organization created to assist Haitian immigrants and native Bahamians in need, with a focus on helping children receive an education, assisting them in meeting their basic needs, and creating an atmosphere of hope and encouragement. Friends of the Environment works with local Bahamian kids to teach them about conserving and protecting the ecosystem of their islands. Fish for Change will work alongside Friends of the Environment students on projects such as mangrove restoration and plastic clean ups. 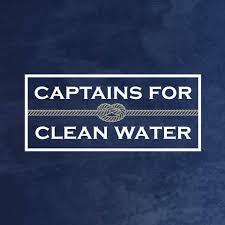 Captains for Clean Water is a grassroots non-profit organization advocating for clean water and healthy estuaries across South Florida. For every piece of merchandise sold, MANG plants one mangrove. Fish for Change is teaming up with MANG to plant mangrove’s in Guanaja and rebuild the nurseries needed for healthy fish populations.